A robust plant with large deep green leaves. 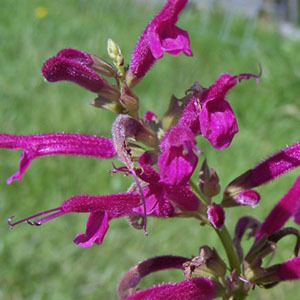 The small velvety purple flowers are tightly packed in whorls and are quite showy. The reddish purple stems add visual interest. A fall blooming sage. Categories: All Items, all potted plants, deer resistant, hummingbird plants, Potted Plants, More..